Does anyone know where I would be able to get a physical map of this trail? 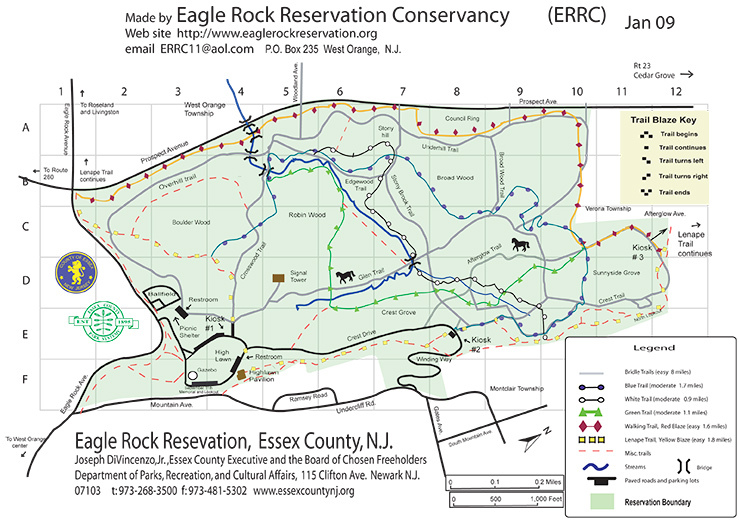 The Essex County Parks and Recreation office in Newark seems to be closed the two times I've driven there (from rockaway, which is a bit of a drive for a map) and they never answer their phones, nor do they have a contact email. Where else might I be able to find this map? Hi Carly - Like the Highlands trail, I don't know if one physical map exists. The best option is locating as many park maps online that contains sections and printing those out - obviously not a fantastic solution. Some aren't high resolution either, ie Eagle Rock's here. For the part that goes thru South Mtn, I ordered a laminated map from their friends org but they don't offer that anymore as far as I know. There is a group of long distance hikers called Freewalkers and lenape34.org that might be of help, though I don't know how active they are. lenpape34 has the most detailed map I've seen,here.